What is your vision of a world with health equity? Day 3 in Kansas City and Day 2 of the NCTOH started with some unexpected chills running down my arms. And no, I haven’t caught the virus of death! As I was finishing my cup of coffee this morning in the plenary session, Dr. Adewale Troutman took the stage as the last speaker. A tough task, as anyone who has tried to keep the attention of a room of hundreds of people after an hour and a half of lectures can tell you. But Dr. Troutman did just that and more. So, before the inspiration I felt this morning begins to fade I wanted to get it on the screen. Then I promise I’ll return to the Summit and smaller NCTOH sessions! This was the question that immediately gave me chills because so often in public health we focus on categories, difference, and disparities. We focus on collecting data on what is wrong, with who, and how the strategies we need to use are different for each of these social, cultural, economic,and other differential groups. We fight with legislators, organizations, and individuals to right the wrongs of history and past unequal treatment. And yes, these are all important steps to getting to our desired future. Yet we so often forget to stop and imagine the big picture – how the world we want actually looks! How will we behave? What rights will we demand in our government? What role does each of us have in working towards that world, even in our every day lives? And as Dr. Troutmann pointed out, there are countries that have officially worked towards imagining and documenting this! In Ecuador, their constitution (at least in writing) expresses their citizens’ right to health as guaranteed by the government! So as I attend sessions for the next few days, have conversations with colleagues, and reflect on the experience here, I want to keep in mind the bigger question of my vision for a world with health equity. This morning, I had the privilege of attending Reaching Priority Communities and Supporting Policies, a panel consisting of the six sister networks of CDC disparity populations – Break Free Alliance, National African-American Tobacco Prevention Network, Asian Pacific Partners for Empowerment and Leadership, National Native Network, National Latino Tobacco Control Network, and our very own Network for LGBT Health Equity. It was so great to see so many connections being made throughout these organizations, but at the same time it was so overwhelming! So many amazing points were made that there is absolutely no way I would be able to summarize all of it without writing a megillah. That being said, I think it’s important to give you all some takeaways shared by each of the organizations. Break Free Alliance – It’s about leveling the playing field. We don’t want exemptions in any policy. National African-American Tobacco Prevention Network – One data set does not fit all. Asian Pacific Partners for Empowerment and Leadership— Leadership is not just the 3 D’s: Doctors, Deans, and Directors. National Native Network— The burden of commercial tobacco is incredibly relevant to our communities, and needs to be discussed from this commercialized position. National Latino Tobacco Control Network— Speak, speak, and loudly! 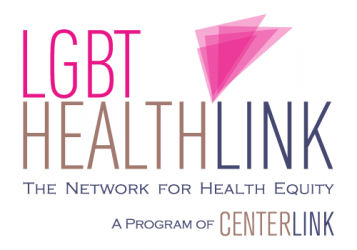 Network for LGBT Health Equity— Every segment of our community is different and changing, so we have to constantly be having these conversations. Again, I think that a lot of this is information that those of us in the trenches already know. As one member of the audience put it, “We’re not just preaching to the choir; we’re preaching to the preachers.” But, it’s still nice to be in rooms where these conversations are still relevant, still immediate. I think that our next challenge is to really stay energized and excited about the work that we do, all while working together and continuing our coalition building. Everything’s up to date in Kansas City! Guest Blogger, Reporting from the National Conference on Tobacco or Health. Greetings from the National Conference on Tobacco or Health in Kansas City! It’s Ricky again! You may remember me from my previous post here on the Network’s blog, The Shame of Pride. I’m here in the Show-Me-State on a blogging scholarship to tell you all about the Network’s Summit and National Conference on Tobacco or Health. After a brief battle with what I am referring to as the twenty-four hour virus of death, I am back in the swing of things and attending sessions like whoa. The highlight of my day (besides a great run-in with some AWESOME youth from Say What! Texas) was a session titled One Size Doesn’t Fit All: Tailoring Mass Media Campaigns, featuring a talk by the ever-charming Jeffrey Jordan, head of Rescue Social Change Group. Cultural authenticity – Do these people look like youth? Are they people that youth believe to be actual non-smokers? Source credibility – Who is giving the information? Are these just some advertisers trying to get money in some other way? Fact relevance – Is this true for youth? Does it even matter in their lives? Immediate consequences – Bad breath keeping youth from getting kisses is waaaaaaay more relatable than lung cancer. Social justice appeals – Information related to animal cruelty and deforestation trigger critical thinking and connections that may not otherwise by made. Over the top creativity – More money doesn’t actually mean more impact—good news for those of us on a public health budget! Entertaining gimmicks – Flashy dance scenes may be fun, but that doesn’t mean youth know what you’re selling. Long-term consequences – We’re talking about a generation of immediacy. Let’s talk in their terms! Fear – I think we can all agree that scaring people doesn’t always work. Appeals lacking culture – We all want to see ourselves. Right? Right. I really appreciated this talk because even though it gave lots of examples of what NOT to do, it also gave as many ideas about what we CAN do. And, it was really inspiring to hear that lots of money is not the best answer. We’re all working under tight budgets, so it’s reassuring to know that effective outreach can happen as long as it’s authentic, relevant, immediate, and can be tied back to social justice. All of those sound like things us queers can get behind, so I can’t wait to see what the Network comes up with to brag on as successes at the next NCTOH! Attending my first LGBT Healthy Equity Summit today was incredibly inspirational, thought-provoking, and also tiring. Who knew that sitting for 8+ hours could be so exhausting!? My hands were sore from jotting down notes and clapping, and my cheeks felt stretched from smiling. Of course it was all worth it! I heard so many stories of successful advocacy efforts – especially those states and localities working to institutionalize LGBT data collection efforts. I even met colleagues in Puerto Rico working entirely without funding, yet who have managed to make farther strides in data collection and tobacco abolition than many of us with far more funding and person-power. Before taking part in all of these discussions, however, we had the opportunity to hear about the future of the Network from the Chair of the Steering Committee, William Furmanski. He didn’t bore us, and I won’t bore you either, because I certainly know that strategic planning and logic models can put the best of us asleep. Overall, William explained that the Network is looking to expand their goals outside of LGBT tobacco control to include general healthy active living. This reflects a shift in the broader world of public health, and it is necessary to keep up with these changes, as well as to simply continue to serve our LGBT communities in all of the important health issues. As more and more inclusive data collection practices build the evidence of more widespread health disparities, I feel that the strategic planning of the Network will certainly pay off. It also excites me to think of the potential for collaboration between any number of health organizations, both LGBT-specific and not, who work on topics like access to fresh fruits and vegetables, healthy communities, and primary prevention of chronic disease. With such growth in the future, I’ll have another important reason to continue to return to the Summit, and hopefully so will many others! Tomorrow I’ll be at the first day of the National Conference on Tobacco or Health, and I’ll continue to write about my experiences at the LGBT Health Equity Summit, as well as sessions from the National Conference that are pertinent to this blog, for the next few days. And of course, I cannot thank the Network for LGBT Health Equity enough for the scholarship that allowed me to attend today’s summit! The excitement is brewing as we work through our last day in the office before we depart for Kansas City. We are prepared for a busy, productive, and fun week with the Summit and the National Conference on Tobacco or Health. As you know the 8th National LGBT Health Equity Summit will be on Tuesday, August 14th at the Kansas City Marriott (Trianon C & D). We are still accepting on site registration just in case you missed the deadline. I want to take a moment to thank all of our sponsors for truly making this years summit come to life. Also, make sure you attend Beyond Fabulous and event honoring the Network and to top it all off Pandora Boxx will be in the house. You are invited to see firsthand how to fight the tobacco industry’s marketing strategies by using their own tactics against them. Experience what a bar promotion tailored for the LGBT population looks and feels like. Enjoy drag performances, beverages and innovative tobacco counter marketing. This event brings one of the MPOWER best practices to life, giving practitioners a firsthand look at how to reach at-risk LGBT adults. All are invited. In addition to our summit I wanted to make sure you Visit the National Networks for Tobacco Control and Prevention at the National Conference on Tobacco or Health Booths in the Exhibit Hall! NCTOH Sessions with and LGBT focus, or presenters from the Network base. 2-PLEN Plenary – Tobacco Health Disparities: Where Are We Today: Where Do We Go From Here to Achieve Equity? Moderator: Dr. Phillip Gardiner, Dr.P.H.